A couple days ago, my friend Olga shared a link on Facebook to a post about everyday life in Istanbul. The article was part of a series from the blog A Cup of Jo, where she interviews mothers who are raising their children outside of the US. In it, the mother described a typical Turkish breakfast, which consists of a variety of items including warm breads, cheeses, clotted cream with honey, cucumbers, olives, and (most notably) a spread made from molasses and tahini. I had both tahini and molasses in my pantry, so I popped into my kitchen and combined a few teaspoons of each to test it out. 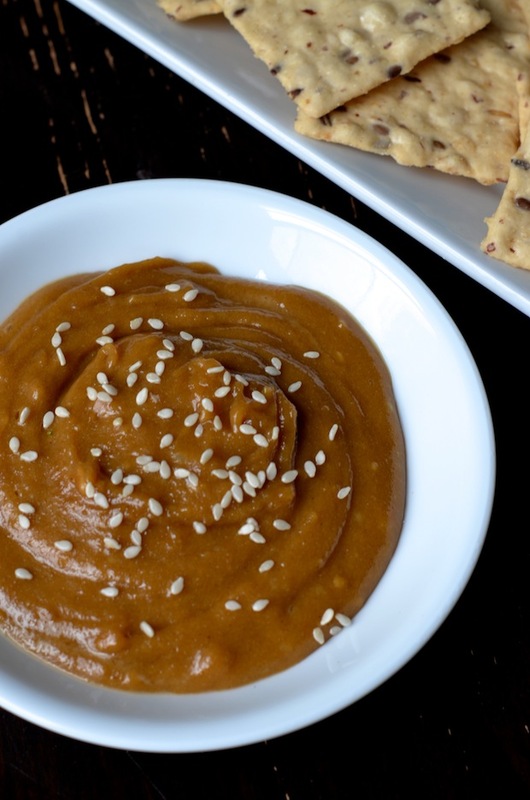 The creamy nuttiness of the tahini (a sesame spread similar to a nut butter that's often used in hummus) went beautifully with the dark, rich sweetness of the molasses. I seasoned it with a bit of sea salt and added a dash of cayenne for heat, then served it with salty crackers. I absolutely love this new spread and am excited to use it in new ways. Thinned with a bit of warm water, I bet it would be beautiful drizzled over strawberries. It would also be incredible on warm toast or an english muffin as a pre-workout snack. I can even see it as a thin layer in a cake! Seriously so many possibilities here! Combine all ingredients and whisk until smooth. If too thick, try warming it up slightly on the stove or a microwave until it stirs easily. Feel free to adjust with a bit more molasses for a sweeter, richer flavor.